Orlando Melbourne International Airport (KMLB) officials said that Trinidad and Tobago native Nishal Sankat breached airport security around 1:30 a.m. Thursday. Nishal Sankat, 22, is accused of trying to steal a commercial airplane. 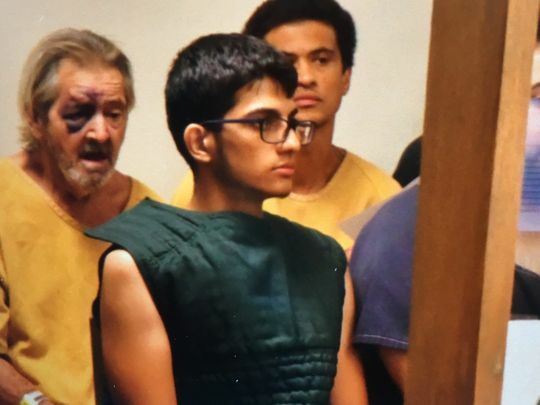 MELBOURNE, Fla. - Nishal Sankat made a first appearance before a judge on Friday. The 22-year-old is accused of trying to steal a commercial airplane. The dark green suit he's he wore is designed to prevent him from hurting himself. Investigators telling the judge they got an urgent call around 2 a.m. on Thursday morning regarding a possible terrorist incident at the Orlando Melbourne International Airport. “He didn't get any type of answers so he told him to come with him. At that point he escorted the defendant to a golf cart. They drove over to the hangar. He started talking to him again, asking him questions and he fled from the maintenance man,” testified another Special Agent from the FBI task force member. The maintenance man caught up with Sankat and securing him until investigators arrived. 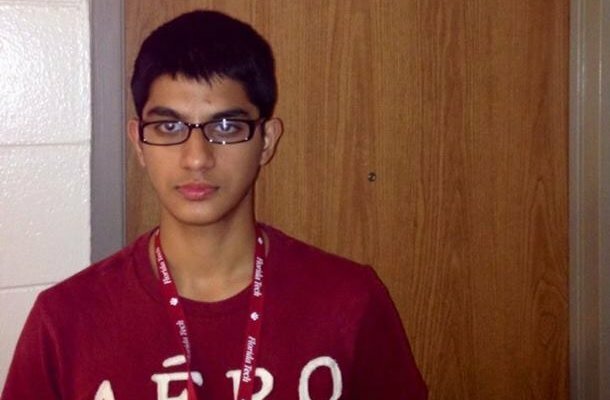 Investigators spent all day yesterday interviewing Sankat and several more hours Friday morning. The special agent told the judge they're not done yet. “There were several factors involved that caused concern to us and we have not yet fully been able to vet those out yes,” said Special Agent Hackard. Sankat is being held on a no bond status. The fed and prosecutors fear he’s a flight risk due to his dual citizenship between Trinidad and Tobago and Canada. Plus they say he has access to money. Sankat told the judge his parents give him a $5,000 stipend. Shayne Graves, Orlando Melbourne International Airport (KMLB) maintenance worker. 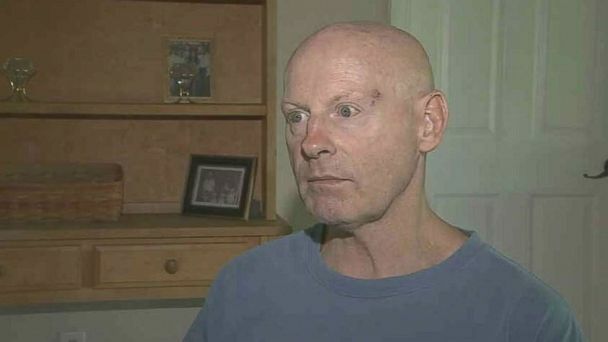 MELBOURNE, Fla. - Channel 9 spoke with the airport maintenance worker Friday who stopped a man as he boarded an American Airlines jet that was undergoing maintenance. "I knew right away -- I mean we're trained," said airport maintenance worker Shayne Graves. "No badge. Looked down -- no shoe on that foot. This isn't right. Nothing's right about this kid." The 22-year-old flight student jumped a security fence at the Melbourne International Airport Thursday and reached the cockpit of an empty jet before two maintenance workers stopped him, investigators said. Melbourne airport officials said that Trinidad and Tobago native Nishal Sankat breached airport security around 1:30 a.m. Authorities said Sankat tried to steal the airplane. Graves confronted Sankat while he was on the plane. Graves said he didn't hesitate to act because he thought about the 9/11 attacks. "I said this isn't going to happen again," Graves said, sobbing. "He was looking around, and I said, 'You’re coming with me. You're coming off this airplane.' I put him on the ground at the entrance door, got him on that golf cart, and we went into the hangar," Graves said. Graves said the suspect appeared to be on drugs. Sankat was studying aviation management at the Florida Institute of Technology and had completed some flight training, school officials said. Investigators said he was not rated for the type of aircraft he is accused of trying to steal. "I really think he's a guinea pig, testing airport security. I really do," Graves said. The Joint Terrorism Task Force, which includes the FBI, is now investigating, but Sankat already faces state charges of violation of a visa, criminal trespassing and criminal theft of an aircraft. Officials said Sankat is being cooperative. He is being held at the Brevard County Jail. After 25 years of striving to reintroduce whooping cranes into the eastern section of North America, Operation Migration will cease work at the end of 2018. "This difficult decision to dissolve the organization is heartbreaking for us all, but we have exhausted all possible avenues to avoid this outcome," said Joe Duff, CEO and co-founder of Operation Migration headquartered in Port Perry, Ontario, in a written statement. "We continued our work based upon our belief that the goal of a self-sustaining Eastern Migratory Population of Whooping Cranes was attainable, however, with new management directives authorized by the Whooping Crane Recovery Team and implemented by Region 3 Fish and Wildlife service, we no longer believe this goal is achievable." 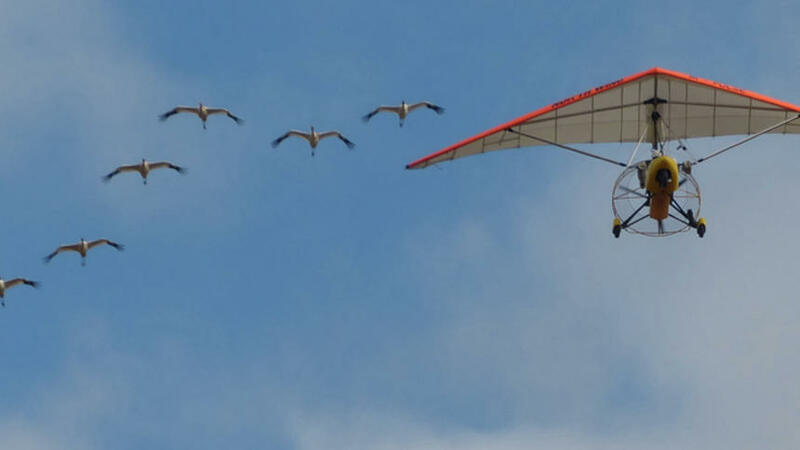 Beginning with the first migratory flight out of Wisconsin's Green Lake County in 2001, Operation Migration trained young whooping cranes to imprint on human beings, then follow them as they flew an ultra-light airplane from Wisconsin to Florida and back. The goal for Duff and Bill LIshman, who developed the aircraft-guided migration method, was to reintroduce whooping cranes into an area that they had not inhabited in over a century. Their work helped establish a distinct population of whooping cranes, separate from the natural flock living in Western North America. For 15 years, Operation Migration pilots and ground crew led cranes on survival flights that covered 17,457 miles with a total of 186 whooping cranes following the plane. Their efforts received awards from the National Wildlife Federation, the Whooping Crane Conservation Association, the American Birding Association, and the U.S. Department of the Interior. Celebrities such as former President Jimmy Carter and conservationist Jane Goodall supported their work to create more awareness of the situation for whooping cranes and help foster the flock in eastern North America. Planes used in Operation Migration are on display at Disney's Animal Kingdom, the Smithsonian Air and Space Museum, and the Experimental Aircraft Association Museum. Operation Migration carried out aircraft-led migration flights until 2015 when the U.S. Fish and Wildlife Service decided the method was "too artificial." After ending the flights, Operation Migration continued research on whooping cranes including costume rearing, releasing parent-reared cranes, and helping to track and monitor the eastern flock. With the new management directives in place, Duff said that "we cannot continue, in good faith, to accept contributions or assign our staff and volunteers to carry out the work outlines in the strategic plan imposed on the Whooping Crane Eastern Partnership." Float aircraft flipped over while taxiing. A Deerfield Township pilot and his passenger are fine after the float plane they were in flipped over Friday night. Deputies from the Livingston County Sheriff’s Office were dispatched to Lake Shannon at about 6:47pm on the report of an airplane crash. Upon arrival it was determined that a single engine float plane, owned and piloted by 57-year-old Harmon Pierce, had successfully landed and was taxiing to the owners dock when a strong wind gust flipped the plane upside down in the water. Pierce and an 18 year old male passenger were able to escape the plane unharmed and were rescued by a boater on the lake. Deputies on scene were assisted by members of the Hartland Area Fire Authority and Livingston County EMS. A report was made to the Federal Aviation Administration and the Michigan Department of Environmental Quality. 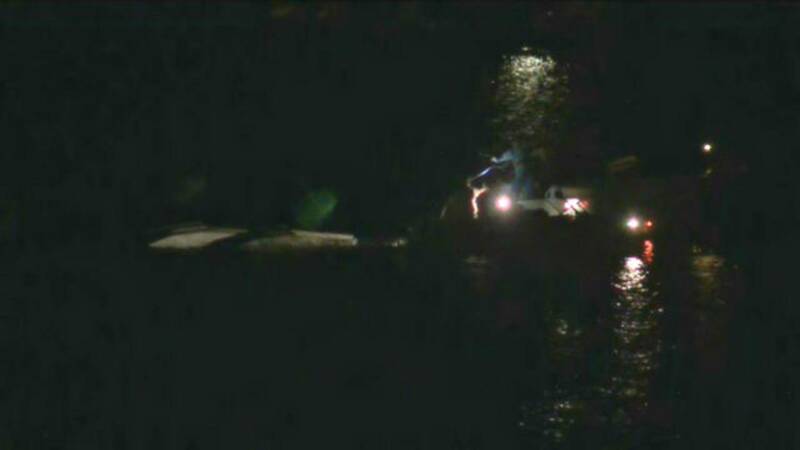 HARTLAND TOWNSHIP, Mich. - Authorities are investigating an incident that occurred Friday night on Lake Shannon in Hartland Township. 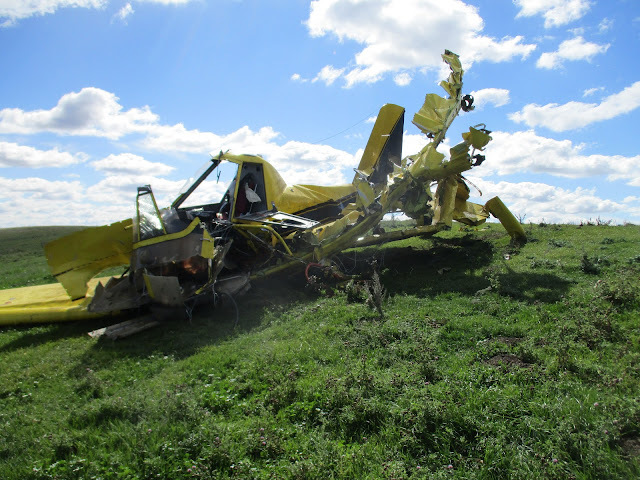 A seaplane had successfully landed on Lake Shannon, located east of U.S. 23 and north of M-59, and was taxiing when wind caught the wings and knocked the plane over. 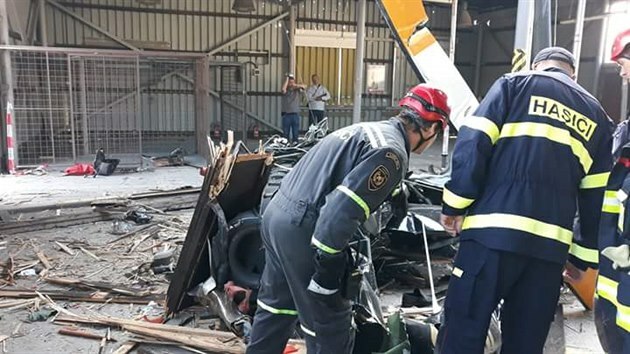 The two people in the plane were not injured. 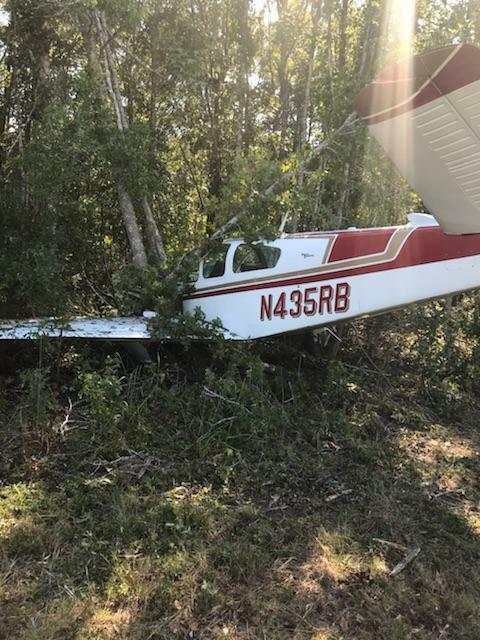 On September 22, 2018, about 1515 eastern daylight time, a Beech V35 airplane, N435RB, was substantially damaged when it collided with trees on landing at the Georgetown County Airport (GGE), Georgetown, South Carolina. 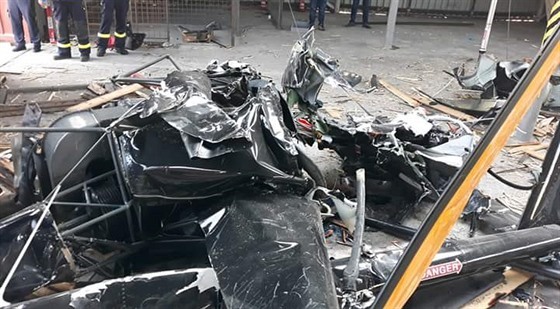 The flight instructor and the private pilot sustained minor injuries. The airplane was registered to and operated by a DAH Aircraft LLC, Lewes, Delaware, and operated under the provisions of Title 14 Code of Federal Regulations Part 91 as an instructional flight. Visual meteorological conditions prevailed, and no flight plan was filed for the flight that departed GGE at 1430. According to the flight instructor, he was providing instruction to the pilot for a complex/high performance endorsement. They flew for about 30 minutes before they elected to return to the airport. 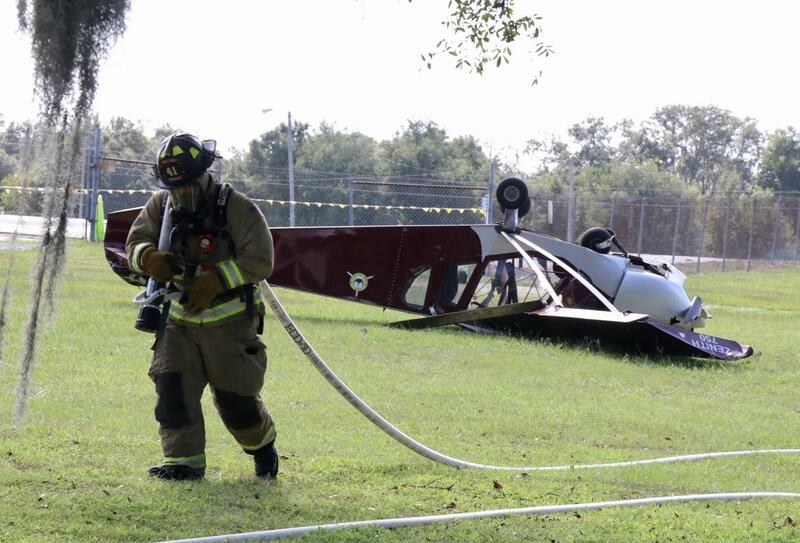 The flight instructor had taken control of the airplane, so the pilot could get a drink of water. During that time, the airplane entered an uncommanded yaw and roll to the right and started to pitch up. 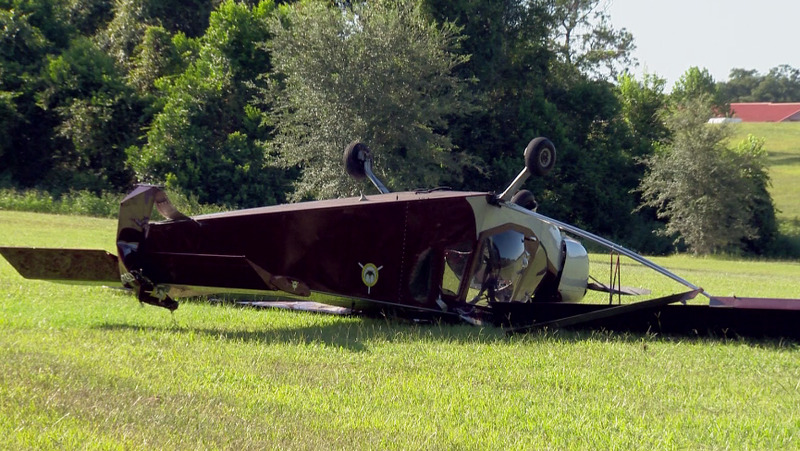 The instructor confirmed with the pilot that he was not touching the controls, which he said he was not. The instructor was able to maintain some control of the airplane by applying left rudder, left aileron, and forward elevator pressure. He also trimmed the elevator nose down, which help relieve some of the right turning tendency. As he prepared to land on runway 11, the instructor noticed the yaw to the right increased as the airplane's speed decreased. 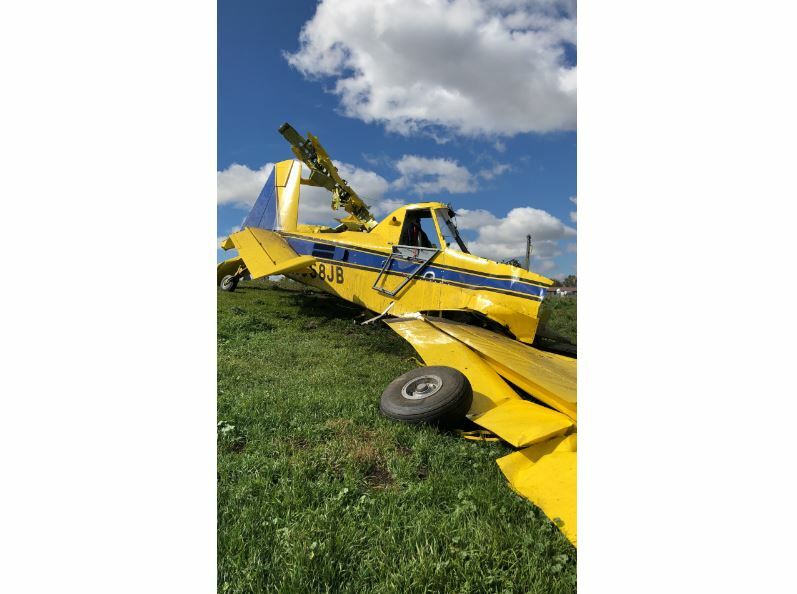 As the airplane slowed down to 80 miles per hour (mph), it became "impossible" to hold the centerline of the runway and it began to drift to the right onto the grassy area adjacent to the runway. 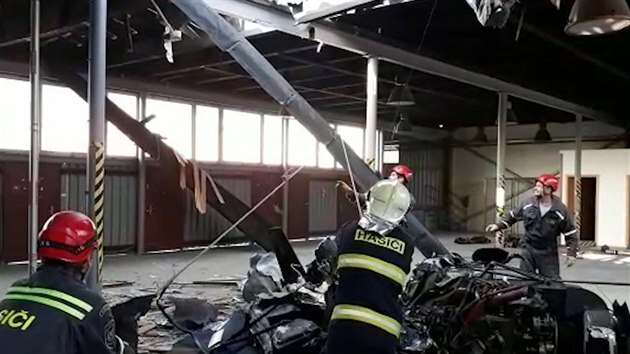 Once the airplane touched down, it immediately veered to the right about 90° and collided with trees, resulting in substantial damage to the firewall, fuselage and both wings. 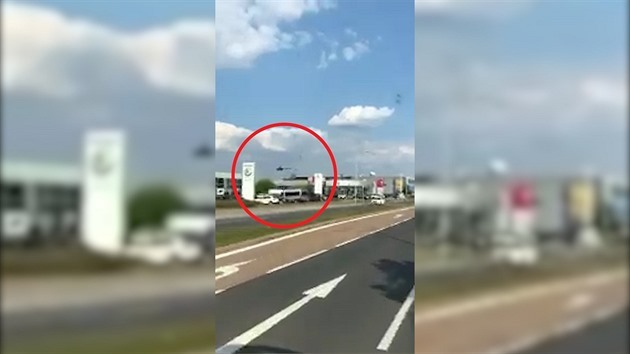 The pilot provided a similar statement as the instructor but added that when he turned over the controls to the instructor and got a drink of water, he heard a "pop" and felt a "bump" in the airplane. The instructor then noticed a flight control problem and announced that he was keeping the controls. The pilot looked out the window and noticed the control surface of the right ruddervator was not moving. The flight instructor held a commercial pilot certificate with ratings for airplane single and multi-engine land, and instrument airplane. He also held a certified flight instructor with a rating for airplane single and multi-engine, and instrument airplane. His last Federal Aviation Administration (FAA) second-class medical was issued on February 15, 2017. At that time, he reported a total of 30,000 flight hours. The pilot held a private pilot certificate with a rating for airplane single-engine land. His last FAA third-class medical was issued on October 31, 2016. The reported weather conditions at GGE, at 1435, included wind from 130° at 6 knots, visibility 10 miles and clear skies. 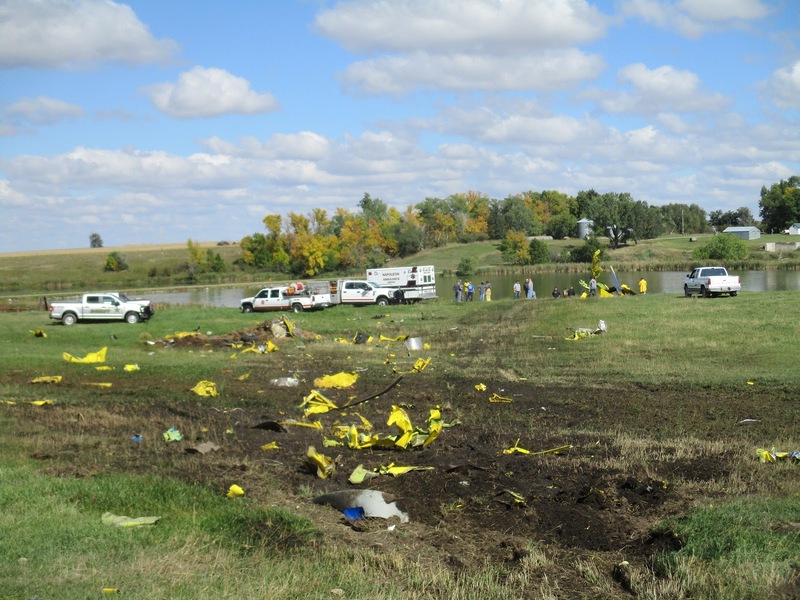 The airplane wreckage was retained for further investigation. 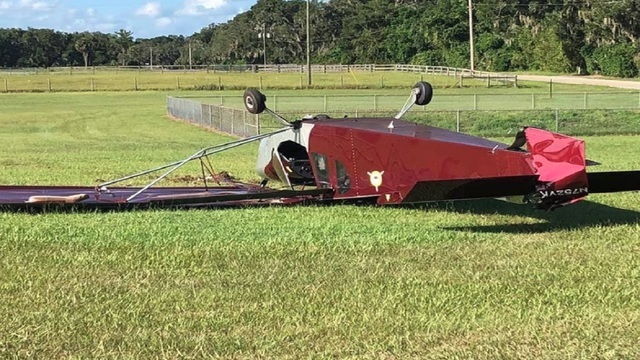 GEORGETOWN, SC (WCSC) - A single-engine aircraft crashed in Georgetown on Saturday. 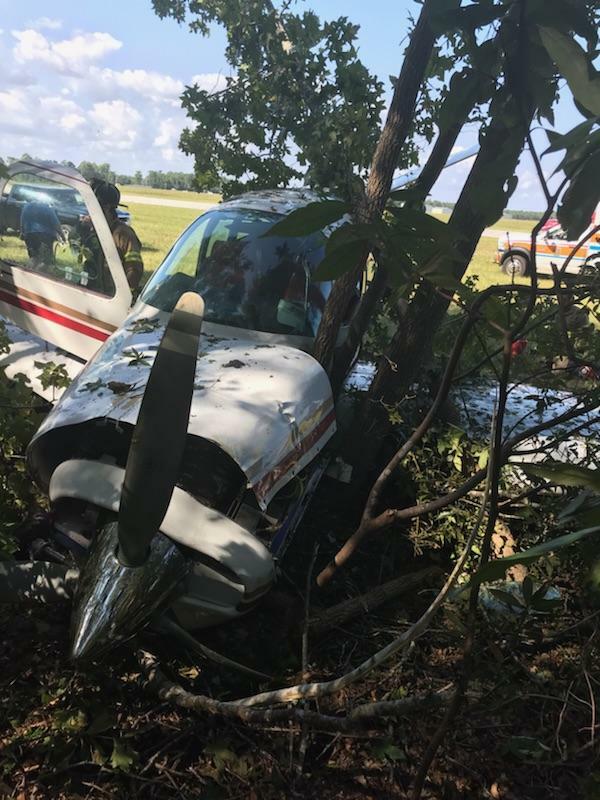 At 3:30 p.m., the small plane crashed into a wooded area while at the Georgetown County Airport, according to Georgetown County spokesperson Jackie Broach-Akers. Two people were inside of the plane at the time of the crash, according to airport manager Jim Taylor. No one was injured during the accident, Broach-Akers said. The Federal Aviation Administration will investigate the cause of the accident. 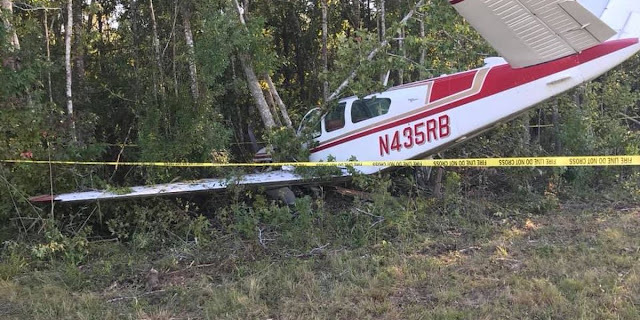 Georgetown County, S.C. — A single-engine airplane crashed at the Georgetown County Airport Saturday, on runway 11 at about 3:30 p.m., according to Georgetown County Public Information Officer Jackie Broach. Broach said no one was seriously hurt in the crash and the airport is open. 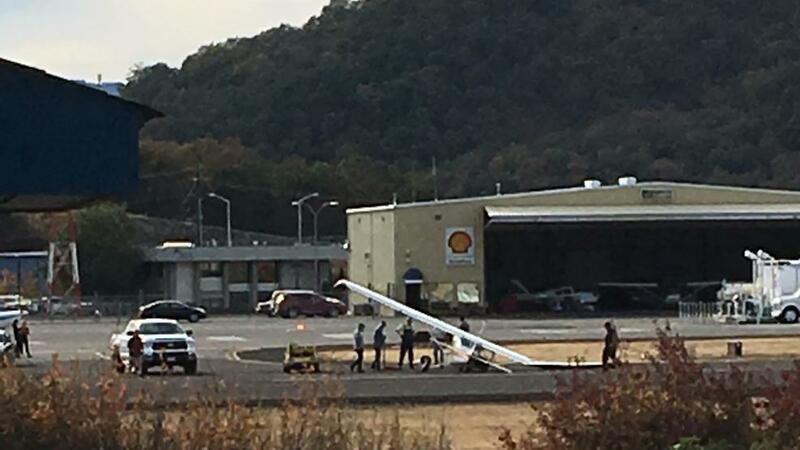 ROSEBURG, Ore. - A small plane reportedly crashed at the Roseburg Regional Airport on Friday afternoon. Reports indicate that there were no injuries involved in the crash.